Context:The #OneWordONT project began in 2015 with #OSSEMOOC (Ontario School and System Leaders Edtech MOOC – OSAPAC’s community of leaders learning how technology can change practice in education). Julie Balen took the lead in creating a graphic and encouraging educators to participate in choosing a focus. In 2016, we had many educators choose a focus for their practice during the year. Julie’s depiction gave us a sense of how educators wanted to focus on their practice. By 2017, the Ontario Ministry of Education cut funding for OSSEMOOC, but Julie continued to lead the project on her own. Thanks to Julie for continuing this work in 2018! It’s time again to settle on a focus word for the next year. I’ve been thinking about this for most of December. I considered the word gratitude. I have been so grateful to my new colleagues in Newfoundland and Labrador for taking me in and learning with me since the new school year began. I know that gratitude will be a huge focus of my life in the coming months as well. I also considered empathy, as it is only through putting yourself in others’ shoes that you can truly understand how to lead in an organization. I thought about kindness, especially after having the chance to work directly with Doug Belshaw this past year. Every single thing we do can be made better with more kindness. But these are already a focus for me, and I need a word that will make a difference for me in 2018. With all the change in 2017 – moving from Ontario to Newfoundland, moving from eLearning to math leadership, moving from traditional professional learning to online empowerment of teachers – all of these things have taken me away from my own personal work. I have been so very good at buying paints, and notebooks, starting blogs and making space to work. But I have nothing to show for it. Work is so demanding that I have not taken the time to create. When we think of networks, we talk about four aspects of being in and learning through others – collecting (information), connecting (with others), curating (information and resources) and creating (to feed the network). I excel at three. I ignore the 4th. To build effective networks, we need to create and give back to those we are connected with. If we believe that creativity is a critical component of schools, we need to model it. It’s powerful to see educators focus on improvement, and reflect on progress. It’s empowering to read reflections on learning and moving forward. Join us in 2018 in choosing a focus word to enable your professional practice to grow. 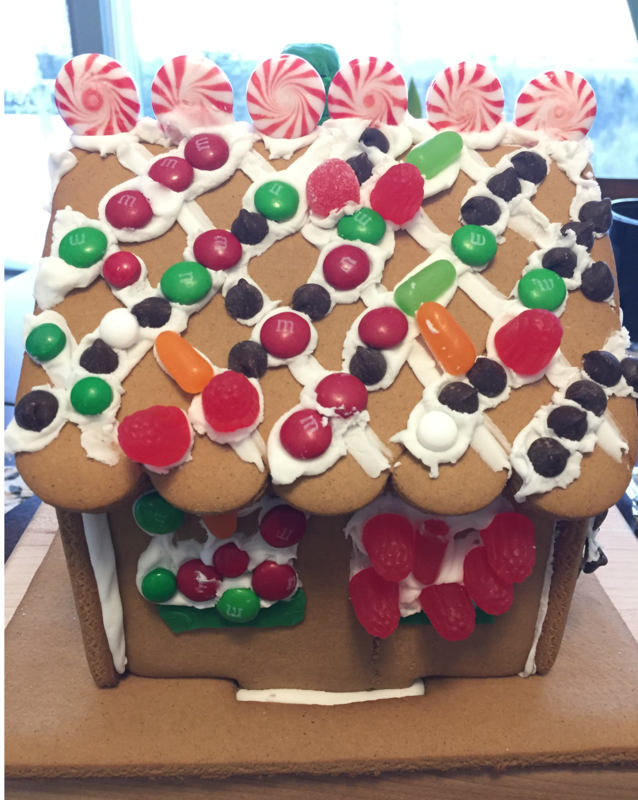 Featured image: Gingerbread house by Chloé Avery, 2 years old. Thanks for not just sharing your One Word focus, but sharing the thinking that led to your decision. I love how you picked a word based on what you saw as an area of need. I’ve been doing some thinking about my own word, and exploring “needs” has been part of this process. I will be blogging soon. 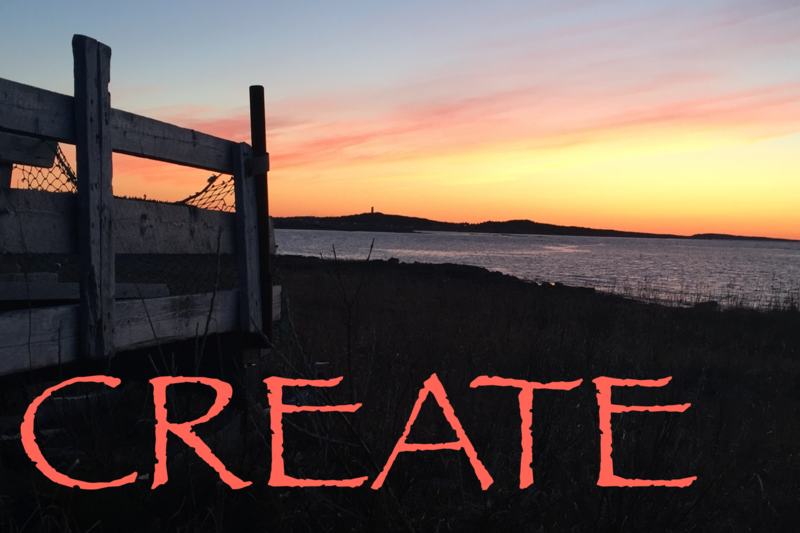 Excited to see just what you “create” this year, but also hear about the process that leads to these creations. Happy New Year, Donna! Donna: you and me both on that 4th one. Curating and connecting are absolute passions of mine. I’m pretty good at collecting what I want to curate…..but creating – that one is much harder for me. I used to use time as my excuse, but this year, on my self-funded leave, I have almost found myself actively choosing not to create. I think I’m afraid of something there, and I have to do some delving to figure out what that might be. Thanks for the poke! 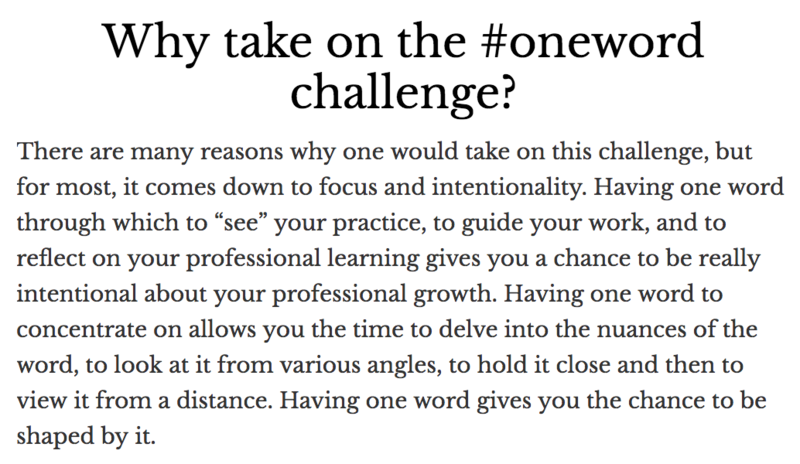 Thanks for sharing your ideas here, Donna, and from your encouragement on twitter to participate in the oneword challenge! This is my first year participating in the OneWord challenge, and your own reflection has me feeling all the more purposeful as I begin my own journey in 2018 with a blog & discussion forum. Donna, great to read about your #OneWordONT. I think that creating and contributing to networked, disparate communities is daunting and humbling. I’ve been creating and sharing with #CLMOOC for a few years (https://clmooc.com/) and get so much more than I give. Since this group is all about FUN and CREATIVE from your own level of comfort and is a grass-roots, self-selected participatory space, there’s less fear and more acceptance in an exploratory, supportive way. Just one of many places to CREATE. Look forward to reading more as your creativity takes off!